This contemporarily designed, elegant Offset Basin from Twyfords Moda range will leave you speechless. 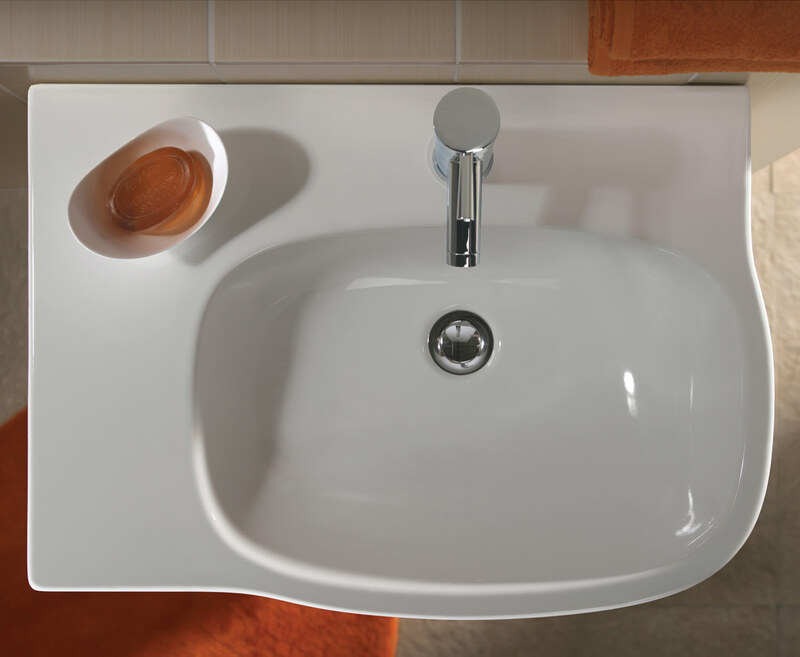 Built from vitreous china material, the basin is strong enough to endure the test of time. 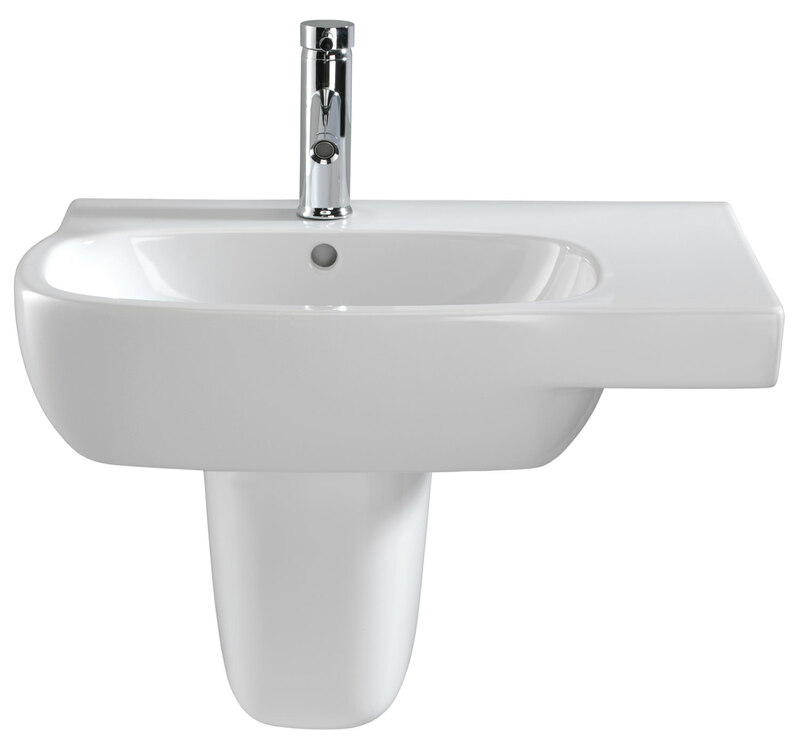 This sanitary ware is supplied with left-hand shelf space to place soap or any essential at handy reach. It is fabulously finished in white creating a wonderful visual effect in your bathroom scheme. The aqua charmer comes complete with pre-drilled tap-hole at the centre for extra convenience. 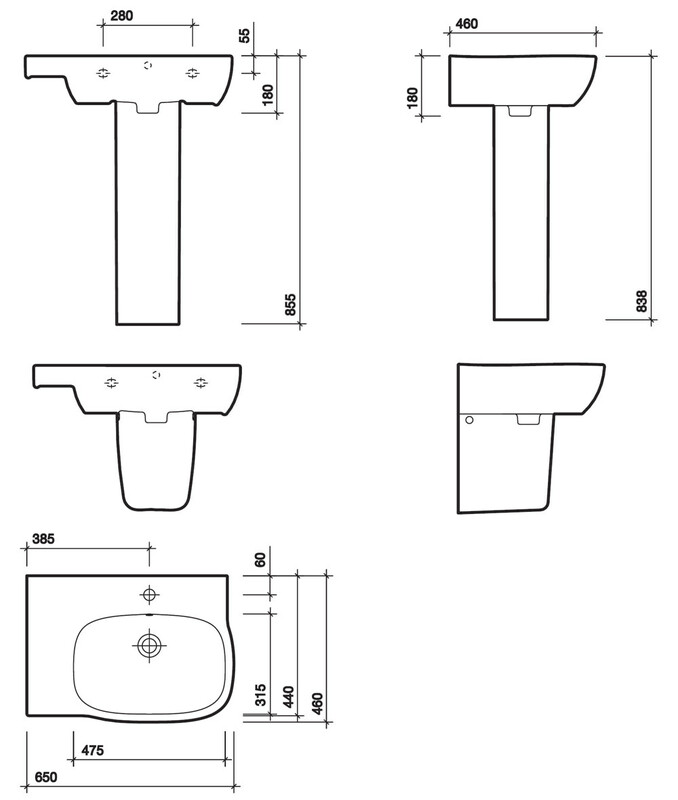 Wall bolts 140mm [pair] [See Option]. 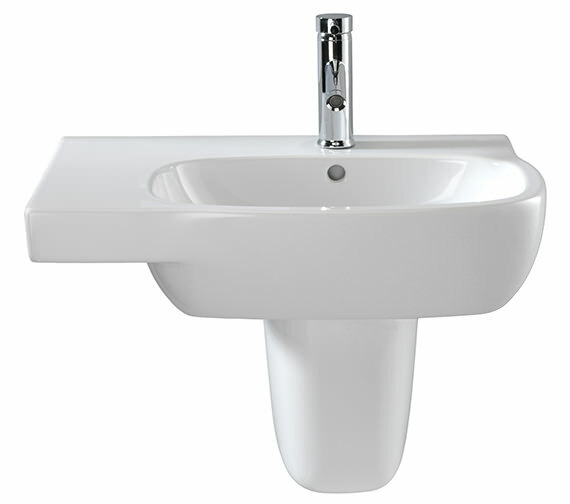 Offset washbasin 1 tap hole with right hand shelf space. Please note : image is for illustration purpose only. Hi - I'm looking for this Twyford Moda 650mm but with the shelf on the right hand side - do you have any?